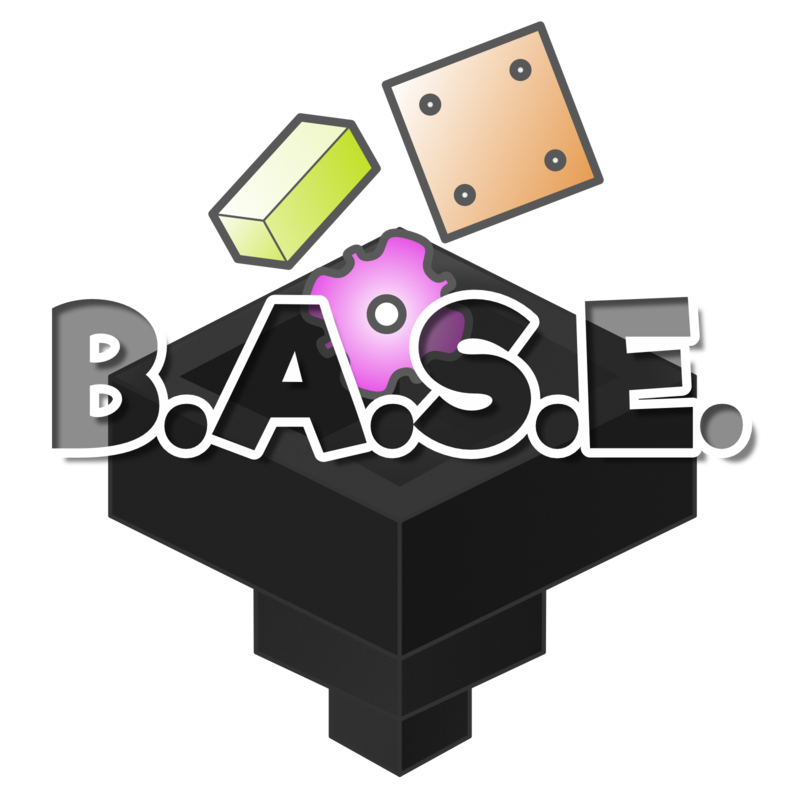 Can B.A.S.E. be used to make metal rods like from Base Metals and Modern Metals? I believe it is on the To-Do list, yes. Mostly just need a texture for it. So looking at the configs, by default all materials are disabled. Is this because your mod is doing the handling or does it mean I have to enable the ones I want generated? It means we don't add the additional pieces unless you turn them on. All vanilla stuff is not touched. By activating the config settings, you get additional items (Gears, Plates, etc) that are not supplied by Vanilla. The current Wiki is out of date, I'm working on updating it and it should be up by this weekend. Join our discord is you have any questions. The commented section describes the syntax. There's also a new update example on the wiki which adds Platinum and Enderium. Have you considered adding small piles of dust? Answer: It's on our planned todo list, yes. So when is the Wiki going to be up? I really like this and would like to use it for all of my ore's in my mod pack I am currently building. I just need to know how to add ore from other mods into this. The wiki is up, just click the wiki tab at the top of this page. As Ewyboy stated the wiki is available by clicking the "wiki" tab. Currently our build with Ore Auto-generation is on our jenkins since we're working on a few final touches before we push it to public (Such as missing Oredicts, Recipes, etc). Nuggets, Ingots, Dusts, Gears, Plates. We'll have a new public build out hopefully at the latest by the end of the week.